Are you beginning to try and find the right Karate classes for kids in Keller TX, but you don’t know what to do? Maybe you’re unable to develop the right karate skills and martial arts courses for your children and you’re on the verge of giving up. 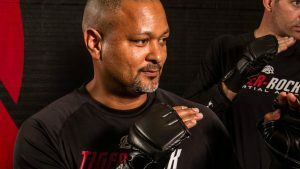 Before you throw in the towel, we think you’ll find the solutions you’re looking for right here at Tiger-Rock Martial Arts. Read more to learn about our brand! 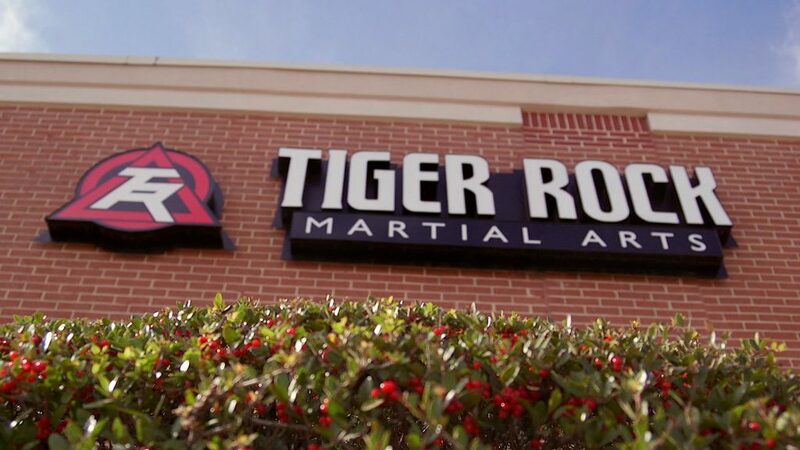 Founded in 1983, Tiger-Rock has become the most well-known and successful martial arts franchise in America. Each and every location has a team of certified staff members who are here to help you learn more about yourself and get better in the process. It’s not always easy developing your mental and physical capabilities, but we’ve got a way for you to improve. If you and your children are trying to master Korean Taekwondo, this is the perfect place for you. Our martial arts are here to help you find the warrior within. Are you children beginning to show some physical deficiencies that you’re unable to develop yourself? Maybe you’re unable to get them to exercise with you and they’re simply unwilling to do it by themselves. As parents, we all want the best for our offspring, but too few of us really take advantage of the effective solutions. If you’re trying to find the right circumstances for them, we have the answers. We have classes tailored specifically towards toddlers. Do you have kids who are around the kindergarten or preschool age, and you don’t know what to do about it? You’re probably trying to find a dojo that gives them the best chances at success, but these can be very hard to find. If you’re trying to figure out where to take your toddler, we think TRMA is the best place available. Our Tiger-Cubs program is for children ages 4-6. If you’ve got a young child that wants to take part in an action-packed, challenging, and fun 30-minute course, this is the environment for you. Our team of instructors has experienced training children from all types of backgrounds. We’ll make sure you’re able to bring the best out of your kids. In addition to helping young children, we also have classes for teenagers. Do you have an adolescent that’s beginning to stumble through life? Maybe you’re unable to get through to them, and now they’re having problems in all aspects of life. This is something that a lot of people go through, and it can be tough getting through it yourself. However, there are solutions out there if you keep your eyes and ears peeled, and Tiger-Rock is one of them. Our team is ready to help your teens get better, stronger, faster, and more disciplined. In today’s society, it can be really tough being a teen. There are all types of distractions and pressures that they have to deal with, and it can be very hard and, at times, virtually impossible to get through them alone. If your adolescent is having social issues and problems amongst friends, it can be tough to directly influence it. Maybe they’re going through a slump in their grades and you’re beginning to realize that your voice may be going in one ear and out the other. If you’re going through issues like these, it’s important to know when to call out for help. Tiger-Rock is here to provide you with assistance, and you’ll be able to count on us at all times. Our teenage programs are here to navigate your adolescent through this turbulent time in life. When you’re unable to do this alone, lean on our certified team of instructors. It’s not always possible to single-handedly help a teen, and our group is here to provide a helping hand. The classes we provide you with are perfect for developing confidence, discipline, and focus. These are all things that a lot of teenagers are lacking nowadays, and it’s critical to get through these plateaus. Make sure you lean on our team when you see this happening. Contact Tiger-Rock for details on our karate classes! A competitive spirit is something that no amount of money can purchase. Are you trying to get a hold of your child’s competitiveness, but you just can’t understand how you’re going to do this? If so, Tiger-Rock has a plethora of statewide, nationwide, and regional tournaments for your kids to take advantage of. These are places and events that your kids can go to if they want to test their skills against other pupils. TRMA firmly believes in healthy competitiveness, and we think this is a great place to hone those abilities. Make sure you’re ready to launch them into the rest of their lives by signing them up for Tiger-Rock tournaments! 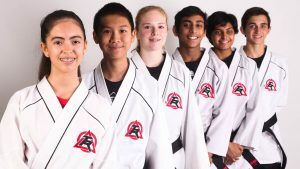 Karate classes for kids in Keller TX is here for you if you’re trying to make the most out of your child’s physical and mental capabilities. It’s not always easy doing this by yourself, and it’s absolutely critical for you to make sure your kids are in the right situations. If you’re looking for a dojo in Keller that can help you grow and manifest your kids’ potential, call us today for more information. Our certified staff of instructors is here to make sure you’re able to get the most out of the courses we have here. Value Penguin voted Keller as one of the ten safest cities in all of America. Thanks, VP! Our city started in the 1850s as a small vessel for farming, trading, and raising cattle. Nearly a hundred years later, we were officially incorporated into the rest of Texas. Joseph Knox was the mayor who started everything, and we’re continuing to improve on a regular basis. Keller is located in the Tarrant County of Texas. As a part of the greater Dallas-Fort Worth metropolitan area, it is a very important piece of the Lone Star State. Today, Keller continues to expand and grow into a modern city that Texans can enjoy. Many residents and commercial businesses are beginning to see our value; people relocate here on a daily basis!